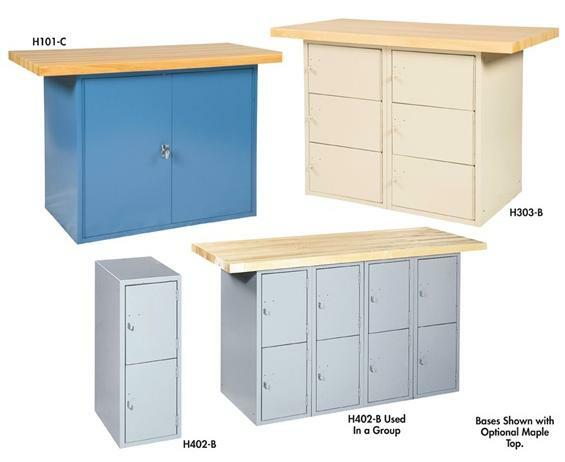 Locker & Cabinet Benches | The Rembert Company Inc.
Can be used individually or bolted together in groups. 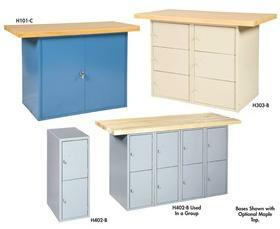 Locker bases will accept padlock or optional flush mount lock and have spring loaded piano hinges. 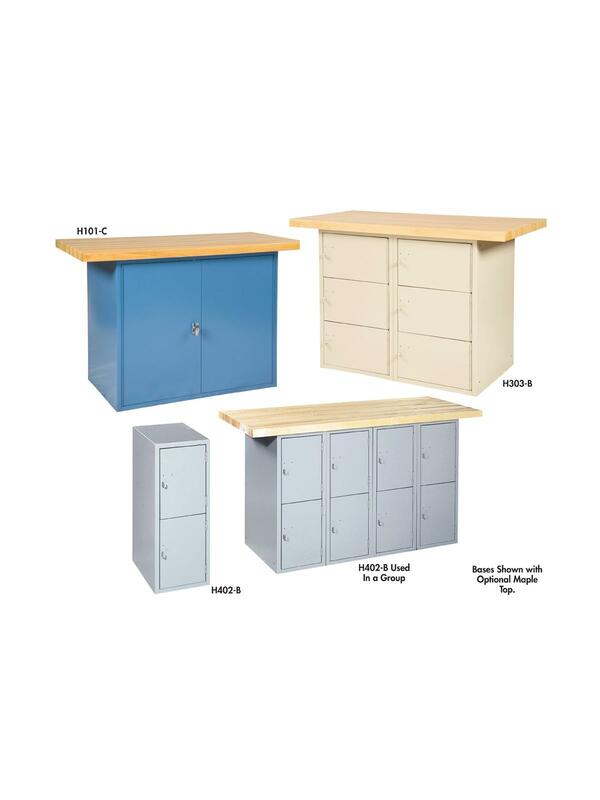 Cabinet bases have full height piano hinges, three point locking handle and one adjustable shelf. Choice of finishes in durable, long last powder coat: ASA 49 Gray, Light Gray, Champagne, Blue, or Black. Plastic laminate tops also available upon request. FOB Shipping Point. 18 x 21 x 31"18 21 31"
18 x 21 x 10"18 21 10"